1. 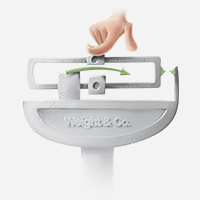 Research suggests regular weighing probably does help with weight loss. 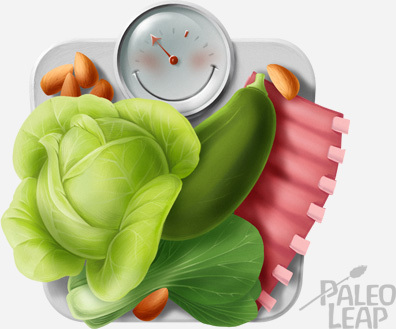 When researchers look at the relationship between self-weighing and weight loss, they generally find that – weight loss is associated with periods of daily weighing, while weight gain or regain is associated with longer breaks in self-weighing. In randomized controlled trials, where one group is told to weigh themselves and another group is not, the weighers typically see better weight-loss results – if they keep up with it regularly. For folks who have already lost weight and are looking to maintain – or who are just trying to prevent weight gain – other studies suggest that regular weigh-ins may still be helpful. Weigh-ins also seem to motivate people to stick to the rest of the weight loss plan. In this study, participants were told to weigh themselves at least 3 times per week. The scales were electronic and recorded every time the participants actually did weigh themselves. Over a year and a half, subjects who kept up with the weighing lost more weight because they stuck more closely to their diet and exercise goals. 2. Some people don’t handle self-weighing well. A few studies suggest that some people take a hit to their self-esteem from regular weighing – and even get demotivated about their weight loss. For example, one study in in college students found that self-weighing actually predicted weight gain, and self-weighers experienced more negative compensatory symptoms (e.g., over-exercising to “make up for” overeating). A review found that the negative effects weren’t randomly distributed: they mostly appeared for people who are most sensitive to their body image in the first place, typically women and younger people. The review didn’t find any evidence of negative effects for people who were already overweight and seeking treatment for weight loss. A meta-analysis also found that weighing mostly had no negative effects for most people, except for a small negative impact on psychological functioning (this is stuff like self-esteem and feelings of stress). The meta-analysis confirmed that younger subjects are particularly vulnerable to negative effects of self-weighing. Other research suggests that “restrained eaters” (people who are already dieting) might benefit more from less frequent weigh-ins – in that study, daily weighing actually led to weight gain, but once-weekly weighing was fine. In short, it looks like some people don’t do well with a daily weigh-in, which is totally fine. Weighing yourself isn’t the only form of self-monitoring out there – if it makes you miserable or crazy, then just forget about it and do something else! 3. Consistency – no matter what you ate or how bad you feel about it – is critical. Here, researchers found that participants were much more likely to skip a weigh-in if they ate more than usual the day before. Even a small increase in consumption was enough to make people skip the scale. If they went 300 calories (that’s a couple of cookies, a few Oreos, a package of M&Ms – not much, in other words) over their typical consumption, they were much more likely to skip weighing the next day. Participants were also more likely to skip on Saturday and Sunday and least likely to skip on Monday. Remember from above that gaps between weigh-ins are associated with weight gain? It’s easy to see how a shame spiral can start from here: you eat too much, or the “wrong” things (or both) and feel guilty, so you skip weighing because you know you’re not going to like the number, but skipping the weigh-in puts you one step further off-track and can easily start a vicious cycle. The simple-but-not-easy solution is to decide how often you’re going to weigh yourself, and then do it completely regardless of how you feel about it. Don’t use weighing as a reward for being “good” or punishment for being “bad.” Don’t refuse to weigh yourself because you feel fat that day, because you ate a lot the night before, or because you’re just afraid you’ve gained weight and don’t want to know. Remember that if you ate a lot of salt and/or carbs, you’ll gain water weight from retaining water, but this has nothing to do with gaining fat and it’ll be gone in a few days, so just write the number down and don’t let it throw you off. 4. Expect daily and weekly fluctuations – especially when you start low-carb or keto. It’s totally normal for a healthy person’s weight to fluctuate; this is something everyone should expect as a part of life whether they’re trying to lose weight or not. But if you’re trying to drop some pounds and you’re anxiously checking every day or multiple times a week, it can be hard to see the long-term pattern in the face of a half-pound gain. It’s hard to reconcile “using self-weighing to get an early heads-up if something isn’t working” with “ignoring minor ups and downs from water retention, hormonal changes, constipation, etc.” One solution: when you weigh yourself, immediately put it on a chart – and set up the chart so you can see the entire past year at once, to get a bit of perspective. Also, this is worth repeating everywhere: the first week of a low-carb or keto diet typically does come with huge losses in water weight, because carbs hold onto water, so when you stop eating carbs, you immediately lose a couple pounds of water. This is fine and normal (enjoy it! ), but just be aware that the weight loss won’t keep going at that pace. 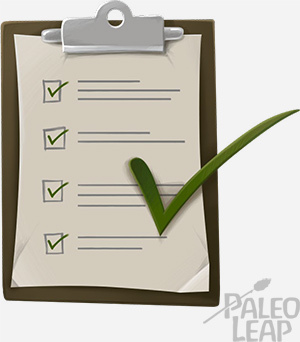 Here’s some more on measuring Paleo weight loss without going crazy! Do you weigh yourself? How often? Why did you pick that frequency? Let us know on Facebook or Twitter!